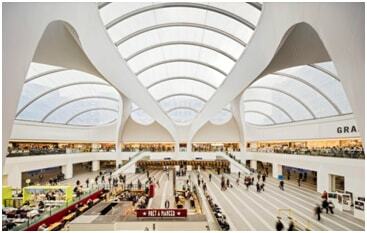 If you are visiting Birmingham and wants to go sight seeing or you reach earlier to your check-in time at hotel, you can leave your belongings safely at Birmingham New Street Station; it is at few minutes walk just 85 m from the station. Luggage storages are offered with locking facility. The luggage storage service is offered at very nominal price of £ 5 per day irrespective of the size and weight of the baggage. The service is provided by BAGBNB Network, the luggage storage provider in over 42 countries across the world. Opening times for the services are 6:00 to 22:45 from Monday to Friday, 8:00 to 21:45 on Saturday and 9:00 to 20:00 on Sunday. You have to make online reservation for Birmingham New Street Station luggage storage. They don’t accept luggage without online booking. It is simple and convenient to book for it online. You can select your Angel and pay for your luggage storage using PayPal or credit card. On completion of the booking process, you will receive summary of your booking and the exact address of your chosen Angel. Charges are calculated on a daily basis (from 00.00 to 23.59). If you pick-up after midnight, you will be charged an extra day. This will make your check-in experience fast and easy. And when you reach your Angel’s location, you will leave your luggage easily and without any worries. You will have to sign a deposit statement document. You have to pick up the luggage by the check-out time. If there is any change in your itinerary, you just contact and communicate about change in your check-out time. All luggage deposited are covered under a guarantee of up to €500 for each baggage. If you have any questions, you can send an email to the service client at support@bagbnb.com. You also can have an online chat with the customer representative.